You can now add Showtime® to your TDS® channel lineup for just $6.95 a month. That’s almost 75% off Showtime’s regular rate! But hurry, the offer ends July 31. Sign up now by calling 1-855-696-8374 and you’ll get one of television’s boldest and most engaging networks for less than 25 cents a day for 12 months. Sign up now as this offer ends July 31. Call us at 1-855-696-8374 to add Showtime to your channel lineup today! $6.95/mo. Showtime offer ends 7/31/16. Offer valid for new Showtime subscriptions only. Promotional price valid for 12 months. After promotional period, current rates apply. HD channels require a subscription to the appropriate premium channel package. Local and state sales tax and other fees, charges, and restrictions may apply. SHOWTIME and related marks are trademarks of Showtime Networks Inc., a CBS company. 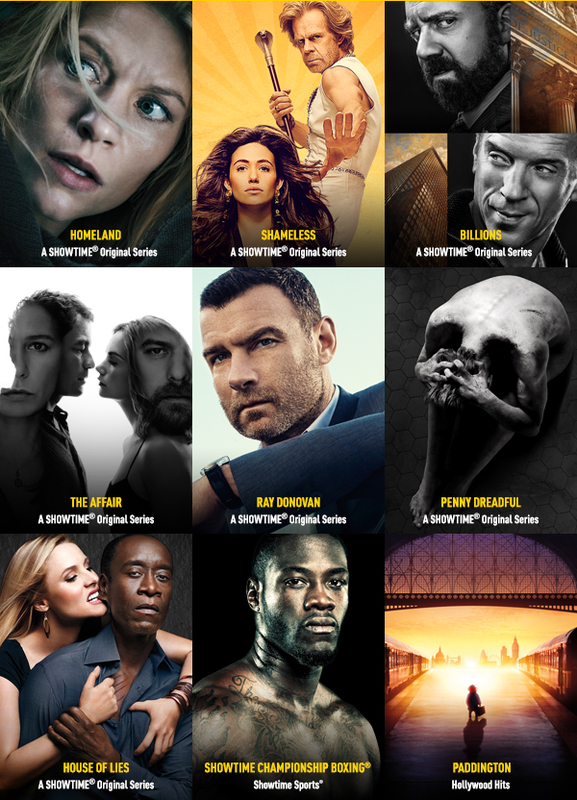 To be a registered user of Showtime Anytime, you must meet the following criteria: (1) you must reside in the U.S.; (2) you must be one of up to five members of a household with an account in good standing with your participating provider; and (3) your household must subscribe to SHOWTIME through your participating provider. To register, you will be required to enter the credentials that you have established with your participating provider for accessing Showtime Anytime and provide certain additional registration details. The primary account holder established with your participating provider must register for the Service before any sub-account holder may do so. No more than three members of a household are permitted stream content at any one time.